My new book is out. It comes from my doctoral dissertation in canon law and is an interdisciplinary study on the role of law in the life-cycle of a religious institute. 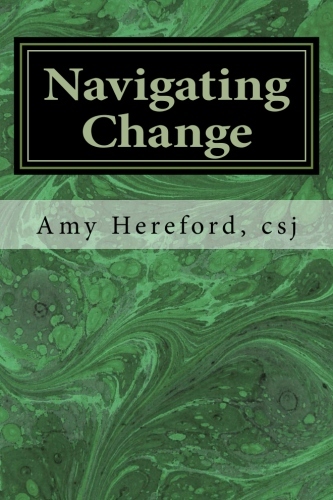 Its basically about navigating change. It begins with an historical case study, the history of the Sisters of St. Joseph of Carondelet, of which the author is a member. The historical overview focuses on three key moments in the history of the institute, its initial foundation, its establishment in North America and the renewal of the congregation in response to the Second Vatican Council. 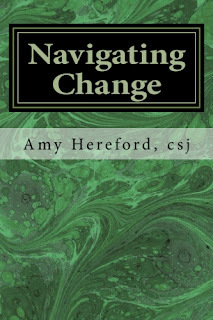 This case study is used throughout the book as the primary example of the life-cycle of a religious institute. Information from other religious institutes and general statistical information on religious institutes in the United States is also incorporated to enhance a broader understanding and applicability. Though it may be broader in application, for practical reasons, the discussion is limited to the situation of women's institutes of religious life in the United States. The project turns next to the notion of the life-cycle of an organization, applying studies of this concept to the historical case study presented in the first section, critically evaluating it in view of the central task of understanding the role of law in the life-cycle of a religious institute. Drawn from the field of biology, the application of the concept of life-cycle to an organization came in the mid 20th century from the fields of economics and management studies. Exploring an organization's social system from a longitudinal perspective is particularly helpful in analyzing the role of law in religious institutes, because most of the relevant legal activity of an organization occurs at key moments of institutional change in the life-cycle. Because a religious institute is greater than the sum of its sociological parts, the third section moves to a theological analysis of the nature of a religious institute, focusing on the development of the nature of the institute through its life-cycle; an institute is not a static institution, but a dynamic entity in an unfolding life. The final section turns to the central question of the project, critiquing the role that law plays in the course of the life-cycle of a religious institute. It reviews particular points of canon law and civil law that come in to play in the various stages in the life-cycle of the institute, and it seeks to provide guidance for those who find themselves in the states of foundation or ending in the United States in the early 21st century. It next turns to the issue of the influence and contribution of law and jurisprudence in the life-cycle of a religious institute. Exploring the appropriate use of law in a Christian community as it seeks to follow its particular way of living the Gospel, it examined the methodology of law as a useful tool in helping to engage issues and challenges, and in formulating responses. The legislative process can bring disparate voices together to articulate a common vision and establish the structures and processes that will further that vision. Laws made by the community serve to memorialize that process, and provide guidance for the ongoing life of the community and a point of reference as the members move out in pursuit of their common vocation. External laws can serve as a measure or 'kanon' to help the institute evaluate its way of life and to guide relations ad extra. Around 70 young women in all stages of initial and ongoing formation gathered at Kansas City Mo this weekend for the 2015 Giving Voice Conference. Sisters travelled from all over the country for this special national event. Some travelled for hours, others experienced all types of cancellations and delays, but all have come to celebrate the sisterhood we share in the Lord. The Divine is in the Other. Last week, I gathered for three days with 33 Sisters of St. Joseph of Carondelet under the age of 60. We prayed, we shared experiences and dreams, and we celebrated! After two days, I thought: Great! This is another good experience but nothing will change. And the next morning, everything shifted. The Spirit was powerfully at work among us and we came up with several very concrete steps. Some were action plans to keep our conversations going and deepen our networks. Others were statements to our congregation and leadership that we are ready and willing to take responsibility in our congregation, particularly around vocation and futuring. As we were finalizing our document, one among us asked: Do we really want to take this responsibility? Do we realize what we are committing to? After a moment of reflection, several sisters spoke to their conscious commitment and to the urgency of this moment. We resolutely affirmed our commitment. This has yet to be shared with our sisters in the larger community and with leadership, but I believe it was an amazing step and I thank God for the grace of this moment and the courage, wisdom and creativity of my sisters.